Christa, a licensed clinical social worker, has been serving children, youth, and families in various counseling and client services roles at community-based organizations in Virginia and New York for the last ten years. 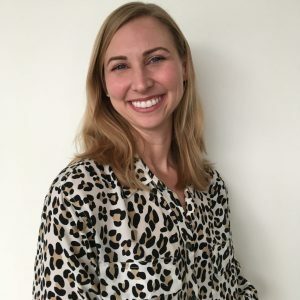 Most recently, she was the Director of Domestic and Sexual Violence Programs for Doorways for Women and Families in Arlington, VA. Christa has extensive knowledge of trauma and brings a strengths-based, empowerment approach to her work with clients. She most often employs motivational interviewing, harm reduction, and cognitive behavioral therapeutic approaches. Christa is also a Registered Yoga Teacher with training to incorporate trauma-informed yoga into mental health practice. She is interested in yoga’s intersections with building capacities around self-awareness, self-regulation, and empathy, as well as its implications for overall health and wellness. Christa earned her Master of Science degree in Social Work from Columbia University in the City of New York with specializations in International Social Welfare and Services to Immigrants and Refugees. She earned her Bachelor of Arts degrees in Psychology and Criminology & Criminal Justice from the University of Maryland, College Park, with minors in Japanese and International Studies. Christa spent her formative years living in Japan and enjoys working with diverse populations.